Beautiful Cufflinks. High quality. Would recommend. 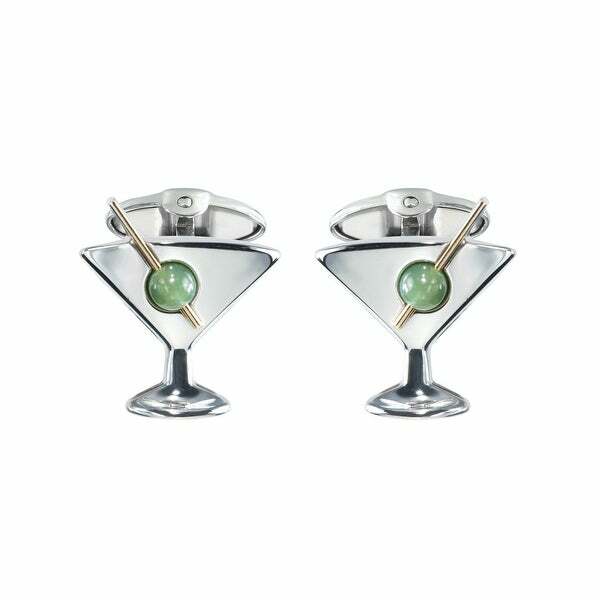 Shake it up a bit with Dolan Bullock's Martini cufflinks. Featuring the timeless elegance of a martini glass, and a jade olive pierced with a 14K Gold 'toothpick' they evoke a classic 'night club' feel from the days of black-tie-and-tails. Crafted in solid sterling silver and 14K gold with jade. They measure 3/4 inch x 5/8 inch.